Time is money and you’re in a hurry. Don’t worry, “Late” is not a London Translations word. We don’t go in for fancy mission statements but ask any member of our team about our ethos and they’ll confirm the above pretty much sums it up. 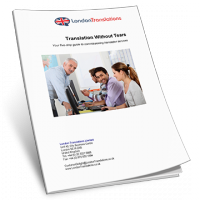 As the pace of business continues to increase at a dizzying pace, delivering on time, every time is vital. That’s why we’re as committed to meeting your deadlines as you are. We could go on but, frankly, we’re already blushing but you can check out what more of our customers say by clicking here. Getting a clear and detailed quote out to you at lightening speed is the first step in winning your trust to deliver on time. At the risk of bragging again, we’ve been known to deliver finished jobs before our competitors have even quoted on them. 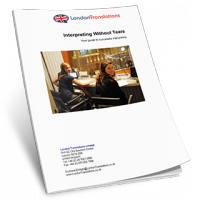 Put us to the test by emailing your document to CustomerDelight@LondonTranslations.co.uk or call us on 020 7021 0888.